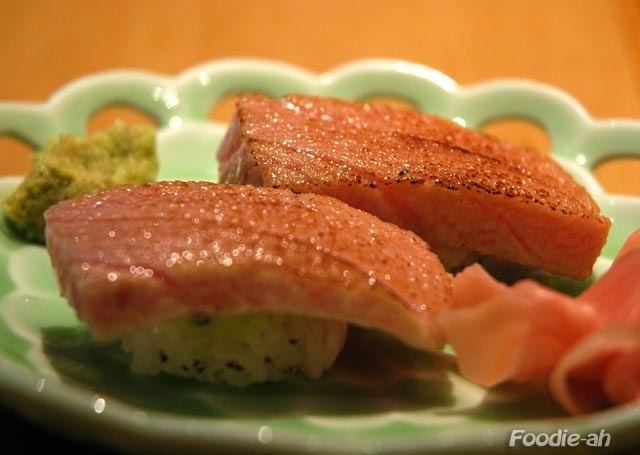 Matsuo Sushi is a small sushi restaurant located at Goldhill Plaza. Besides serving what I believe is the best sushi in town, the restaurant has a "family restaurant" kind of feeling. The staff is very friendly and most of the customers are regulars. Mr. Matsuo is indeed Japanese and he personally prepares the sushi. He has been in Singapore long enough to speak English like a local. Without a doubt you would never even suspect he is Japanese unless you were told! The menu includes 3 different set dinners, but if you want the best, you can ask for a "Chef's selection" and let the chef serve you what's best on the day. That's indeed what I chose, and I was served a selection of seasonal vegetables and seafood: sunomono broccoli in miso sauce, an incredibly crispy spring onion (or perhaps it was something similar to a spring onion, as it was too good for a spring onion), tamagoyaki with eel, and raw oyster. I thought the spring onion was superb: the perfection and freshness of it, enhanced by the light seasoning, was just incredible. 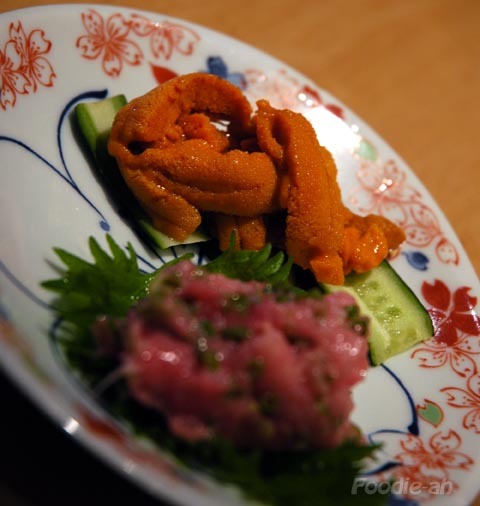 The following dish was a duo of delicacies: uni and negitoro. These are by far my favourites, and I love them with rice domburi style. Obviously, when you have the opportunity to taste such quality, you would rather have them on their own, with a drip of soy sauce and a tiny lump of fresh REAL wasabi. Yes, at Matsuo they only serve real wasabi, not the powder version. 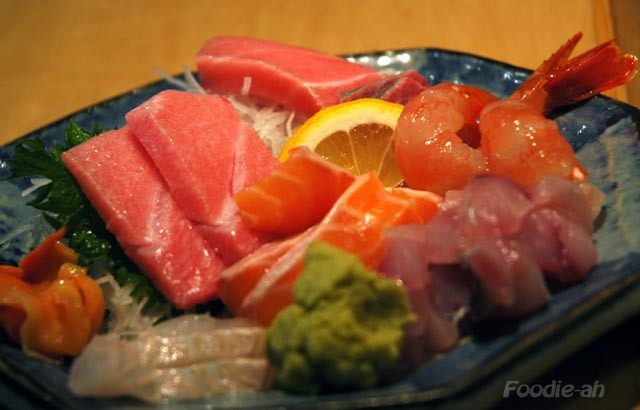 The sashimi selection was of course as good as it can get. The highlights, in my opinion, were the Aji and the O-Toro. I have been eating Aji quite regularly at most sushi restaurants in Singapore, but this is unlike the rest. It brought back memories of my trips to Japan. The O-Toro was really as it's supposed to be: not a messy and soft lump of fat, but a hard-textured squarish slice of delicately marbled fish. When you raise it with your chopsticks, it shouldn't 'hang' like any other sashimi fish slice... and when finally you put it in your mouth, you don't need to chew. Instead, you can just juggle it in between your tongue and palate, and most of it will dissolve in a matter of seconds. I can really say this is heaven in your mouth! 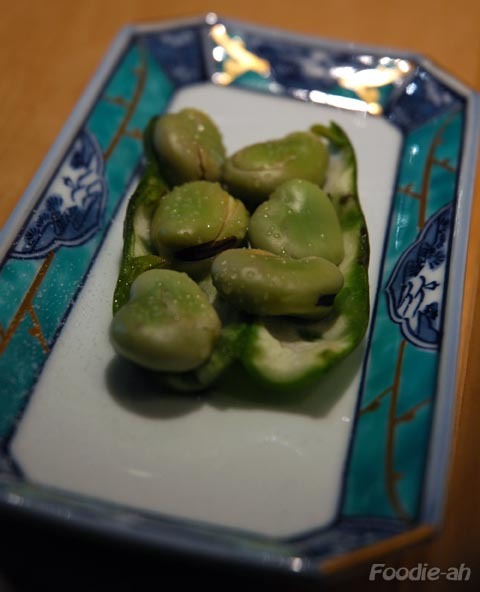 I really enjoyed these seasonal broadbeans, simply steamed and sprinkled with salt. This is Japanese cooking at its best: a seasonal ingredient selection, served without altering the original flavour. The grilled fish head was also very well done. 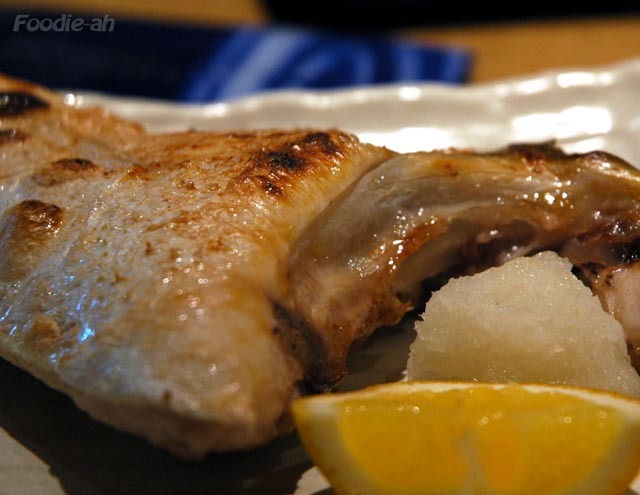 The fish was undoubtedly fresh, lightly grilled and salted throughout, while maintaing the delicate texture and flavour. This is the best part of the fish, moist, slightly fatty, soft and meaty. 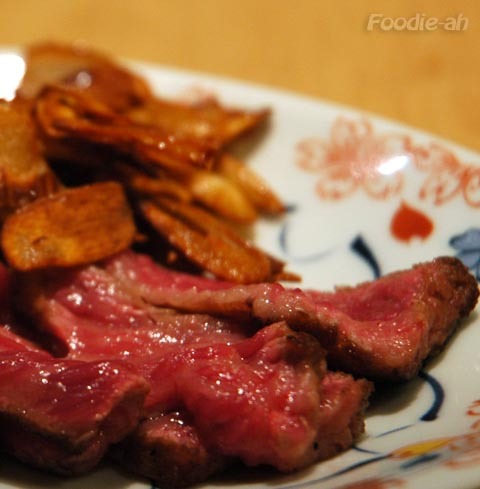 The Wagyu beef with fried garlic was served quite raw with its own sauce. The meat was tasty and tender, and adding a couple of slices of garlic gave it that slightly bitter favour that made this dish quite unique. Another highlight of this meal was the Grilled Otoro nigiri sushi. You can only imagine what a prime toro slice lightly grilled so that the marbled fat melts releasing an extra layer of flavour would taste on top of sushi rice! 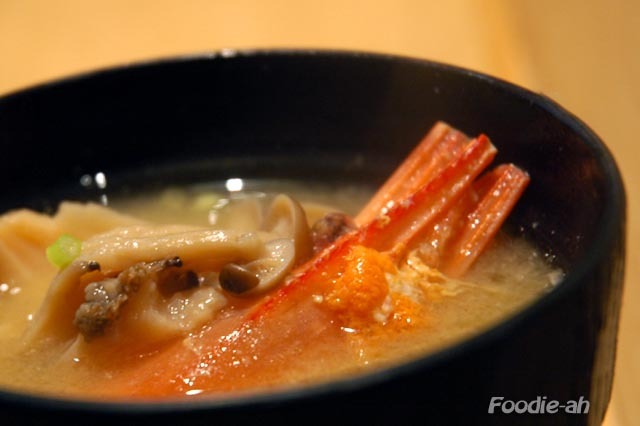 Finally, we were served a miso soup with assorted mushrooms and the heads of the Botanebi that we had for sashimi. 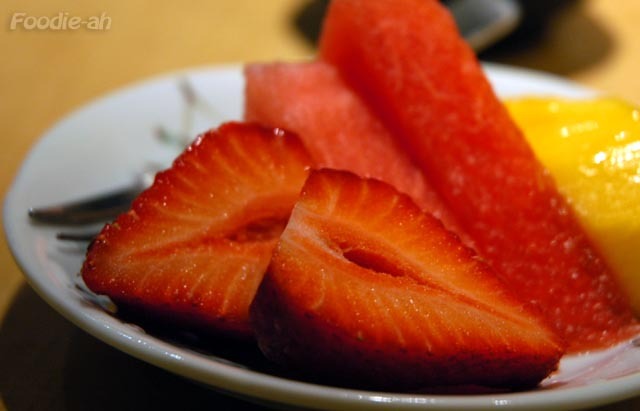 The fruit platter included some mango, watermelon and Japanese strawberries. I can only dream of the next time I will be visiting Matsuo. Due to the pricing, it's not a place you can visit too often, but I would if I could afford to. 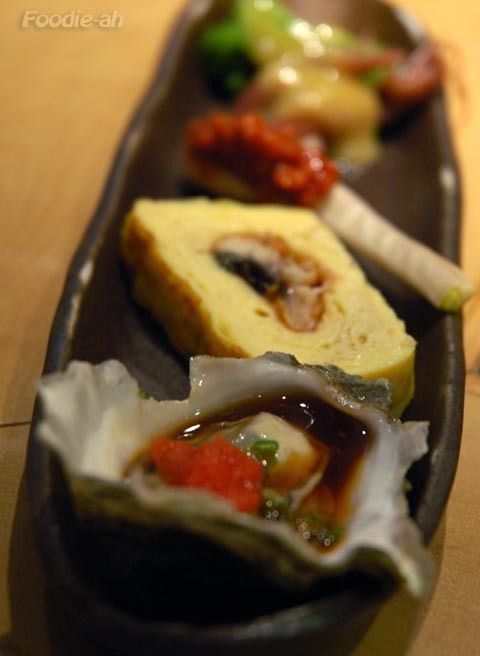 The bill came up to $411, including some extra Hotate (scallop) and Anago (eel) sushi. It is certainly not cheap, but then again the Chef's selection is the most expensive meal you can have at Matsuo, as you are given the best. The service is very friendly and attentive, and the Chef himself is extremely skilled not only at preparing your food, but also reading what you like and when to serve you next, as well as remembering your favourites if you are a regular. I appreciate your reviews on the good restaurants that are not heavily advertised or chained..this place is jotted down on my next to go list.